Anjala Movie which was promoted using various famous artist in tamil cinema had a very little expectation during its release. Everyone were aware that this movie has ” Tea Shop ” as it main tagline and that is what made the story finally . Vimal who used to give continuous films started with this film in 2016 and lets see how many films he releases this year ! Tea shops are one of the vital places in our day to day lives where everyone of us discuss all important topics. Be it our personal or professional lives, we discuss them over a cup of tea. ‘Anjala’ movie travels on the same lane. The movie begins on an interesting note as how ‘Anjala’ tea shop lands on earth. The National Highways department’s project to widen the road, comes as a death bell for the shop leading to a legal tussle between the Government and Muthirulandi and other shop owners of that locality. Added to this, Anjala shop faces a few other problems that threaten its survival. What happens to Anjala tea shop and its kind hearted owner forms the rest. With these plusses the film has its share of downers too. Despite the presence of a good number of comedy artists the film falls flat in making us laugh. The other additions to entertain are also not so great. With a running time below two hours the film nowhere makes us feel the length but there instances the makes us to check our smart phones. Except for the first 20 minutes, and the flashback sequences of Pasupathi, the movie is not worth your bucks . Vimal is one of the guys who work in that tea shop. Nandita is a college going girl who waits opposite for college bus and she falls in love with Vimal. And that romance is a dreadful thing ever. The response to the romance is even bad. Verdict : Anjala – TEA less in sugar and decoction . 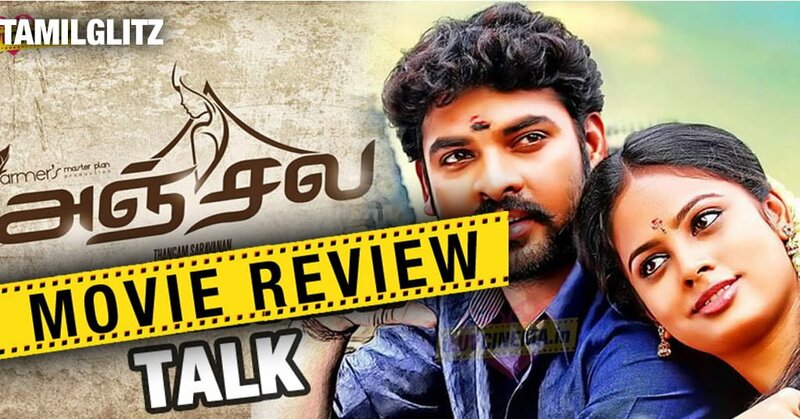 Anjala Review TEA less in sugar and decoction .